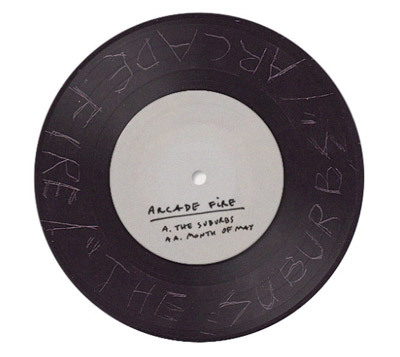 Download Two New Arcade Fire Songs | True Endeavors Presents: music, tours, tickets, mp3 downloads, concert pictures, videos, Madison WI. There was chatter around the internet yesterday of a new Arcade Fire song. A few weeks ago the band’s website teased us with a mysterious banner presenting “The Suburbs” which was quickly taken down. A short time later, a snippet of a new song played on the site, and a new single was hinted at. We are happy to report that a few of these elusive 12″ singles have made their way out into the world, and subsequently into the digital world. Hear them for yourself below, and let us know what you think! I’m so excited for the whole album. They are high on a list of bands i have yet to see but need to.